Velocita is a new automotive brand specialising in the short-term hire of prestige cars and supercars. With an emphasis of careful vehicle procurement we created a campaign ethos of ‘Drive it like you own it’. Complemented with their extensive Instagram following, we have been able to help Velocita to gain a unique foothold in this competitive market. We have helped them garner over 40k followers in less than 9 months. 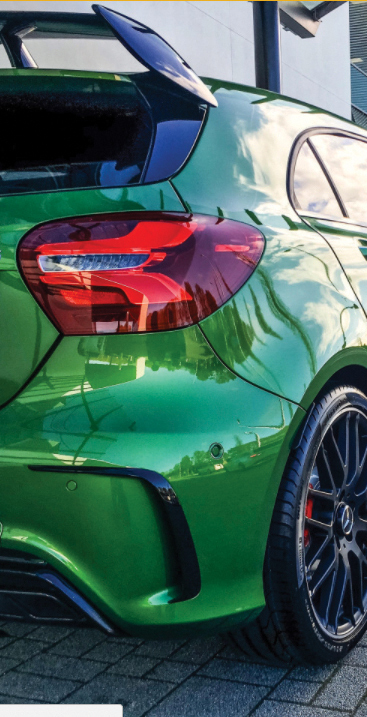 With a specialism in AMG Mercedes-Benz models, and we’ve helped Velocita develop a unique relationship with the manufacturer that has led to a nurturing partnership. This has resulted in reviewing new models and the launch of a standalone Velocita TV Youtube channel. With the success of this brand, Velocita have asked us to create a series of sub brands that will work within the framework of the automotive industry and social media. These will emerge in the next few months. With a following of between 40-125k followers across two affiliated Velocita accounts we have helped create a significant social media presence across, Instagram, Facebook and Twitter. With the two combined accounts, our reach is well over 400k on a weekly basis. Known as the 'Solarflare' our new AMG C63s coupe is unveiled with new solarbeam livery. The 'Viper', our AMG A45 runs amok in the New England forest.